Do you know you need negotiation skills in your job? You negotiated for your salary but how often do you use those negotiation skills once you got your job? Negotiation skills at work is a must because it can be the difference between a successful and fulfilling career or a pitiful one. It can be the difference between having the best time at work or a miserable one. Negotiation goes beyond just haggling for your salary. It extends to your day to day work life. Your ability to recognize opportunities, to negotiate and to seize them is a must to achieving success in your career. Have you done a task you didn't want or were you excluded from something you wanted to do? I have seen and heard many people complain about one thing or another about their jobs that they could have attempted to negotiate to get the better end, but they did nothing about it. Negotiation is discussing your differences with the other party to reach an agreement. You cannot approach a bargaining table without a strategy to get the desired outcome. Hence, the need to negotiate and have negotiation skills. One day, many years ago, it was time for some training where I worked. My boss at that time assigned training courses to everyone based on where we were the weakest. To my dismay, I was instructed to go for training in the field I disliked the most! I tried but to no avail to switch to another course during the departmental meeting. However, I was not ready to give up. I started to think of what I could do to change my situation in a way that would be acceptable to my boss. Later that day, I met with my boss. I explained why it would be in the best interest of the department to send someone else to the training instead of me. Amongst my reason was the fact that I would rarely if ever use that training because it was my least favorite - why waste valuable resources? I provided the list of other training courses I could go for that was equally beneficial because of its efficacy, and more importantly, I was sure I would use it. Long story short, I had my way and so did my boss. She wanted me to go for training and I did, it was a training that we both liked. Lack of Negotiation Skills is Equal to Limited Power at Work! What would have happened if I never met with my boss to negotiate out of going for a course I detested? I would have felt controlled, that I had no say on what my career path should be. I would brood over it, and it may have affected my work life. Maybe I would have started searching for another job that is more inclusive and values employee contribution. Sometimes the way you feel about your job is as a result of feeling powerless about decisions that affect you. The sad truth is you relinquish your power when you fail to recognize the opportunity to negotiate and consequently your failure to negotiate. Your ability to negotiate determines your success at work. It determines how you feel about work. You may not have your dream job, but you can have a blast where you are and get all you need (skills, experience, and connections) that will propel your dream job or business. The truth is you can negotiate any and everything. Your ideas may be rejected or denied, but there is a chance that you can reach a compromise with the other party. So why are you not negotiating more or why are not negotiating at all? Negotiation is not a guarantee you will get all you want. However, you have the chance of getting some compromise if you don't get all of what you want. I wrote a life story above that happened to me. What I must emphasize is I met my boss with a strategy in mind Also I didn't blow off any chance of meeting with my boss in the meeting. Hence, the need of having negotiation skills and using them. In your current job, how often do you negotiate? Let me ask this in another way - do you know you can negotiate at work? 1. It gives you the power to influence decisions that concern you. There will be situations at work that would have a different outcome if you negotiate them. If you feel your work environment is hostile or if you feel your work conditions are somewhat unsuitable for you, then you need to think about what you can do to change that situation. You must improve your negotiation skills, create the opportunity to meet with the other party to come to a win-win solution. At least, you should give it a try. What have you got to lose if no change happens? Nothing! But you have a lot to gain if you can get some wins. 2. It helps you understand the other party and builds a good workplace environment for you. When you have insight into the thought process or the reason for some decisions, you have more tools to negotiate better the next time. You are able to plan a better and stronger bargain if you know what the other party wants. You can frame the outcome you are routing for so the other party can see how it benefits them as well as you. Being a skilled negotiator allows you to build, maintain, and improve relationships, an important aspect of achieving success in your career. 3. You will have job satisfaction. I have seen many people complain about their supervisors or managers at work. The most common is that their bosses don't listen to them. On further inquiry, I realized that most of them neither negotiated nor did they have the negotiation skills to bargain for a win-win scenario. What they did most time was to complain and leave it at that. Would you like to listen to people complain to you or would you rather have someone offer suggestions to solve problems (negotiate) and get a win-win outcome? The folks you work with would want you to negotiate with them too. Skilled negotiators achieve more at work, and they have a better work environment. As a result, they have job satisfaction. 4. It is Important for your success. How can you get what you want if you don't speak for yourself while being in alignment with your organization? How can you succeed in your career if you don't know how to negotiate to get what you want? In this article by Katie Shonk written in Program on Negotiation; Harvard Law school's blog, she writes that the ability to recognize the opportunities to negotiate and negotiate is a necessity for success in your career. Your negotiation skills are important on the day you get interviewed and throughout your job. The extent of everything you get at work will depend on your ability to negotiate. Negotiation skills are a must at work and in life generally. It's a skill that you will need in every aspect of life. You will need to negotiate with different people at work. The truth is if you are a skilled negotiator, you will get the best where ever you work and you will be able to propel yourself to greater heights. Even if you have your dream job, if you lack negotiation skills, you may not be as successful and, you may become miserable in that job because you are unable to bargain for what you want. To conclude, it is vital to have negotiation skills at work and to utilize these skills to be successful in your career. If you need to know how to negotiate, look out for my next blog titled, How to Negotiate: The 7 Keys You Need. 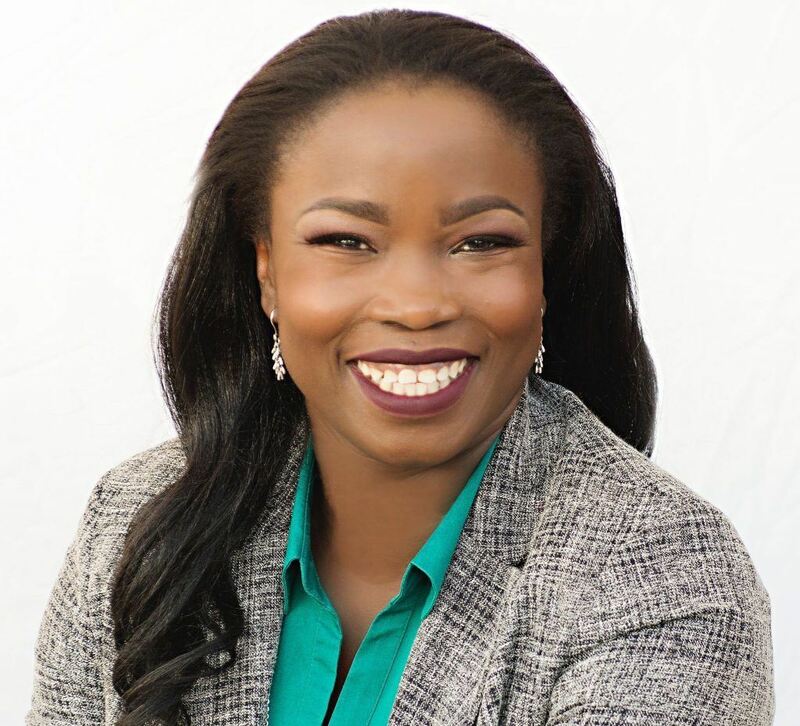 Hello, I'm Oyinkan Akinmade and I'm a Professional Coach and Speaker. I help you take charge their work life by improving your confidence, own your work environment and build your personal brand. Feel free to connect with me on Instagram​. You can read more about my story here.